MANUEL ROSA BIO: Driven by passion, fearless researcher Manuel Rosa tries to solve the mystery of Cristopher Columbus. He has been a tireless and uncompromising detective for nearly thirty years, whose rich experience and an excellent methodology in historical research allowed him to decode the story of the man known as the discoverer of America. Rosa was born in 1961 in the paradisiacal archipelago of Azores. Growing up in the town of Madalena, on the Pico Island, he learned many stories whispered by old sailors, adventurers of the waves of the ocean. Some of them talked about the crews of ancient ships that took a route to the unknown waters of the West Atlantic Ocean. Manuel Rosa left the Azores when he was only 12 years old. He has always been a high achiever with an artistic soul. In 1976 he received Boston Globe's Art Merit Award. He was only fourteen years old, but he knew that life was limited only by the limits placed on one’s dreams. As a son of the ocean, he had real-life experience that helped him in understating of the sailors from the times of Columbus. What makes Rosa different than many other historians who explored the history of this mysterious man is the comprehension of seafaring. 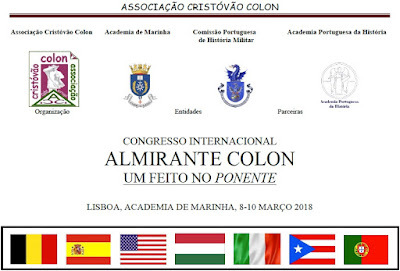 This comprehension was gained by experience of living in the Azores, immersed in the same ocean waters where Columbus sailed five hundred years earlier. This childhood experience of the future investigator made him aware of the difficulties and challenges faced by the explorers during the 15th and 16th centuries. His adventurous research begun in 1991, when Rosa realized that the commonly accepted biography of this world-famous explorer is full of intriguing gaps. Moreover, he noticed numerous incoherent affirmations in the officially accepted history of Columbus. Accepted wisdom presented Christopher Columbus as a poor Genoese peasant who had no chance at schooling and who could not speak Genoese yet could read and write in other languages. To understand what the truth was, Rosa had to become an open-minded hunter of information and a chaser of the blurred evidence, long-ago censured and sanitized. He dedicated half a lifetime to scrutinizing original documents, chronicles, and letters. Rosa, who is a polyglot, reviewed more than 3,000 books, in many languages. In 2002 he received the Lockheed Martin’s Lightning Award. Rosa has always been consistent in following his dream of reaching the truth. This attitude brought him a lot of supporters. He found friendly souls amongst the researchers and thousands of people fascinated by the cryptic history of Cristopher Columbus. Columbus turned the life of Rosa into the fabulous adventure. This investigative journey has led to chasing the illusive truth in seven different countries and uncovering the facts of a conspiracy of lies that is much larger in scope then anyone could have imagined. Following the footsteps of this mysterious man, Manuel Rosa traveled to the countries of three continents: Europe and both Americas. Looking for the answers to the most difficult questions. He visited Dominican Republic, Portugal, Spain, Germany, Lithuania, Italy, Poland, etc. In 2006 he published his first book, co-authored with Eric James Steele, “O Mistério Colombo Revelado”. Fifteen years of research afforded him the knowledge to explain the missteps of the history books and gave us a peek at the real Cristopher Columbus. Rosa employed the 639 pages of his book to introduce the reader to the original documents and the sphere of mystification that covered-up the real history. The results of his research were mind-blowing and turned the previous analysis related to the birthplace of Columbus into the ashes. After publishing the first results of the research, he investigated even harder to expose all the truth. He became a fearless advocate of evidence-based analyses and formulated a new theory of Columbus’ true identity: that of a royal-blood prince and not the pauper we had been sold. His confidence and passion brought him strength during the numerous lectures and discussions amongst the academics. The controversial theory presented by Rosa has always been so spirited that nobody could stay unaffected. 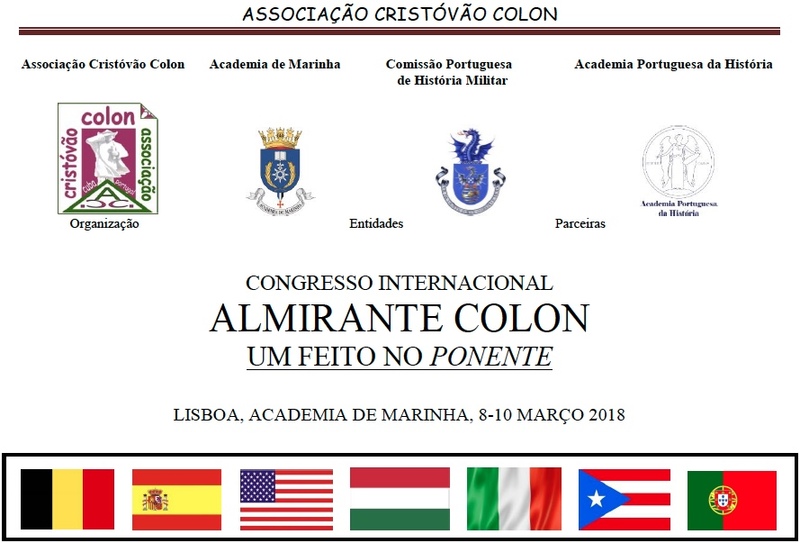 When he published Colombo Português-Novas Revelações, “Portuguese Columbus-New Revelations” (Portugal, 2009) known in Spain as Colón: La Historia Nunca Contada “Colón: The Untold Story” (Spain, 2010), the eyes of the academics from around the world turned on his work. The books included a foreword by Professor Joaquim Veríssimo Serrão, former Dean of the University of Lisbon, author of numerous volumes of the History of Portugal, and President of the Portuguese Academy of History from 1975 to 2006 and recipient of the Príncipe de Asturias Prize for Social Science in 1995. In 2012 Colón: La Historia Nunca Contada was published in Poland with the title Kolumb. Historia nieznana, and as Kolumbas. Atskleista istorija in Lithuania, 2014. It was a milestone in the promotion of the shocking part of Rosa's theory. In Poland and Lithuania Rosa became famous for his analysis related to the Polish king Władysław III, who vanished in the Battle of Varna in 1444. This book became a milestone in decoding the truth about the origins of the discoverer. After the announcement of finding Columbus’ ship Santa Maria by Barry Clifford in 2014, Manuel Rosa contested such a find. His research affirms the Santa Maria never sank in waters near the coast of Haiti. He advised the government of Haiti and UNESCO on this, and his point of view was confirmed by UNESCO divers. Clifford’s wreck was not the Santa Maria. Considered today’s foremost authority on the discoverer of America, Rosa took part in the DNA analysis of discoverer’s bones at the University of Granada. The research opened the gates to the new chapter about the history of Columbus and his true family. Rosa's latest book, COLUMBUS: Mystery Solved, (Portugal, 2017) is the most coherent synthesis of research spanning more than a quarter of a century, radically redefining the role and identity of Christopher Columbus. Manuel Rosa frequently appears on TV shows and updates on his achievements during the interviews. His research has been the subject of several television documentaries, including on Expedition Unknown, on TTV NIE DO WIARY, BBC, NPR, and many foreign-language outlets and was honored October 2017 with the highest award of the 10th Mediatravel Festival in Poland. In 2018 Rosa continues his adventure joining the prestigious conferences and traveling through the world with hope to erase the lies about Cristopher Columbus and replace the story repeated for centuries with the true story of this fascinating explorer.